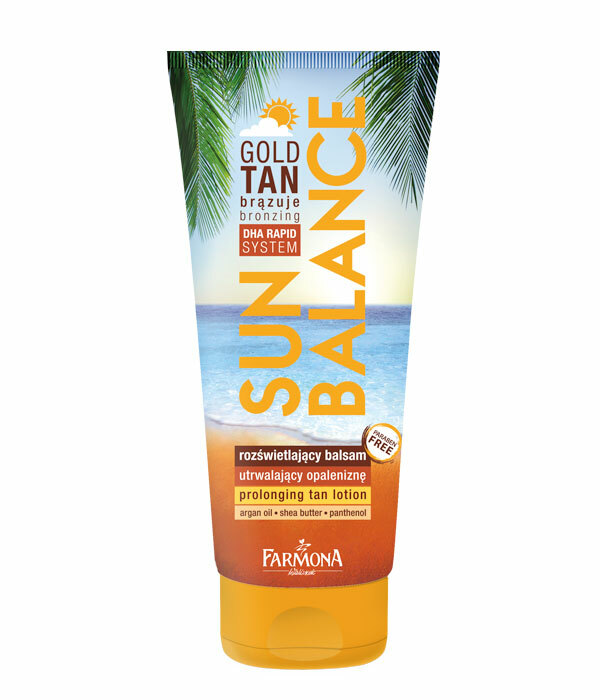 Lotion with advanced DHA RAPID – System prolongs and enhances the tan. Intensively moisturizes and regenerates the skin after sunbathing or tanning in a solarium. 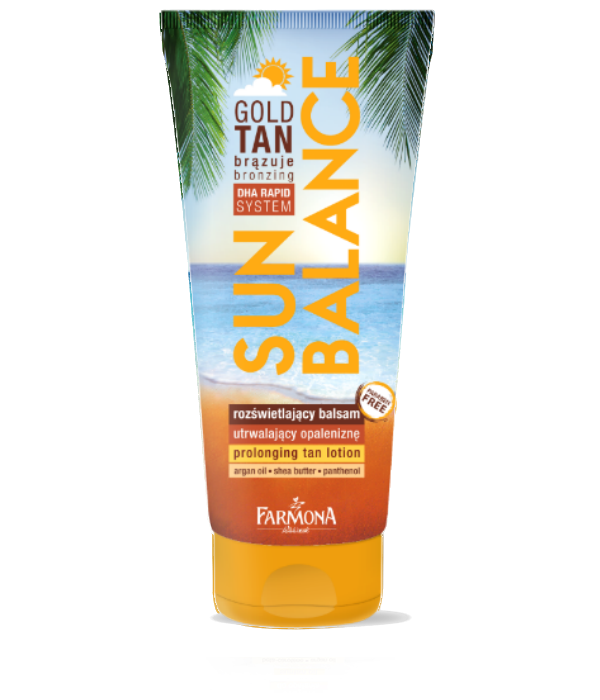 Golden particles brighten and emphasize beautiful tan. 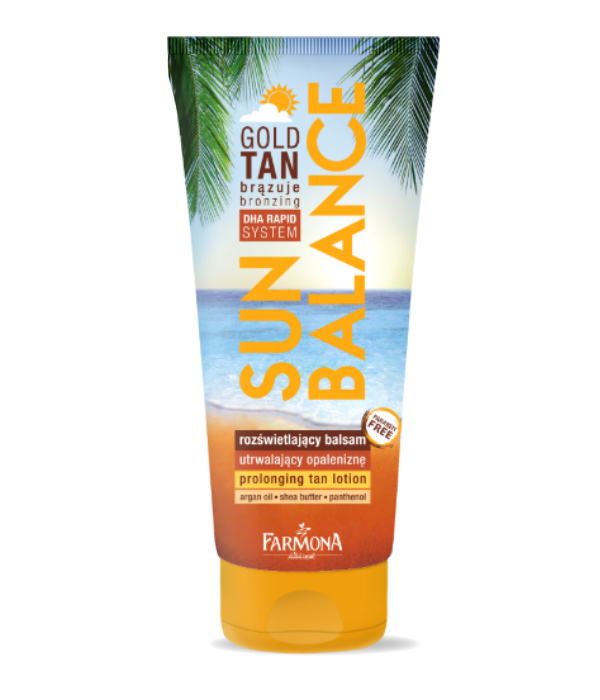 Systematic use of the lotion prolongs the tan, giving the skin golden glow. Apply the lotion to the skin, leave it to absorb. It absorbs quickly and leave no greasy feeling. After application wash hands thoroughly. DHA RAPID SYSTEM, panthenol, shea butter.